I love Christmas markets. That’s it, now you know my secret! But at the same time, I’m always looking for magic and uniqueness -more than just some nicely decorated wooden stalls and mulled wine. So this is not just a list of Christmas markets, this is what I’m pleased to call: My very secret list of magic places! Near the border to Germany, the Velvet Cave holds a unique and underground Christmas market, beneath the striking Valkenburg Castle. 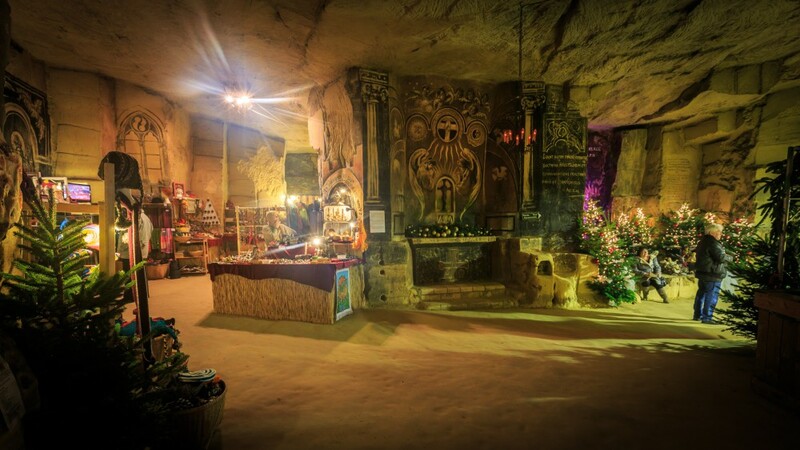 It is vastly different from any other; not only can you explore the caves and secret passages, but also admire the paintings, carvings and the chapel that have been created over the last two millennia. There is a nativity scene and the Santa cosy corner for the little ones. This one is the dream come true for all princesses out there (and mums too!). The Royal Christmas Market in the Hohenzollern Castle recreates an astoundingly beautiful ambience in the home of the Prussian Royal family. It is definitely one of the most enchanted Christmas markets in Germany. Secret insider tips: Be ready to be surprised by a visit of the Prince of Prussia! A nice and warm Georg Friedrich will certainly be walking through the market, giving autographs and posing for pictures. You’ll need to leave the car in one of the parking lots down there and then take the shuttle up the hill to the castle. Rovenna Gorge translates perfectly the meaning of magic in a white Christmas scenario. 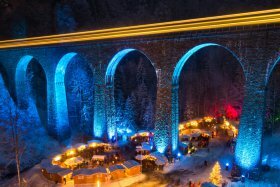 Nestled beneath the impressive Ravenna Gorge viaduct in Germany’s mystical Black Forest, Hochschwarzwald’s Christmas village is set in a deep valley, offering the visitors a special touch and feel of the Black Forest, near Freiburg. Secret insider tips: The children are invited to write a letter to Santa and they can even give it to him personally on Saturdays and Sundays between 3pm and 6pm. Park your car next to the Hinterzarten train station and take one of the many free shuttles available to take you to the Christmas market. The wonderful Chatsworth House is something truly special that makes you wonder how it was to live there. Each year the house is open to the public and dressed up for a special theme, this year the theme being Alice in Wonderland. Fifty-two Christmas trees and 900,000 fairy lights will ensure Chatsworth dazzles with lots of traditional Christmas sparkle. Secret insider tips: Do not miss the daytime nativity live shows starring the Chatsworth farm animals. Your children are also very welcome to dress up and participate (on a first come, first served basis). Also, there is a magical evening tour through “Christmas at Chatsworth” (Thursdays and Fridays from 26 November – 18 December). 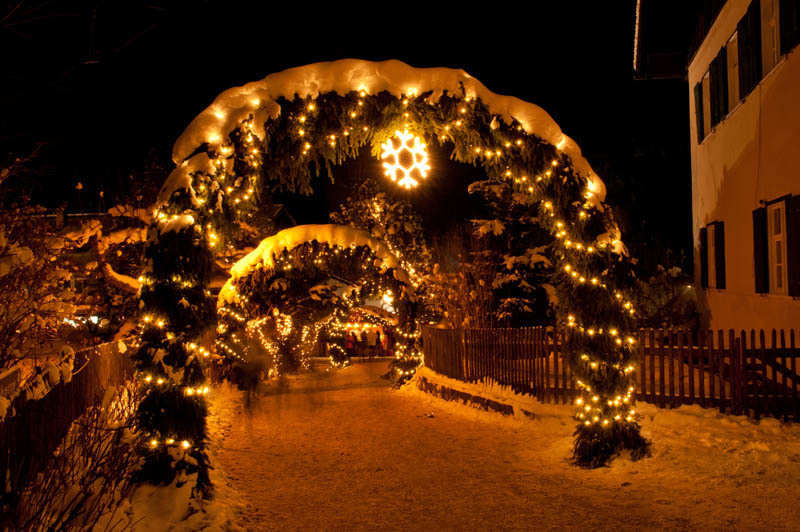 It is probably the most fairy tale-like Christkindmarkt in Bavaria. Each Friday and Saturday during the Christmas market there is a fairy tale Christmas procession that passes through the festive streets of the dreamy town – be ready for childhood memories once again brought to life. Secret insider tips: The musical staging of the world famous hymn “Silent Night, Holy Night” is definitely not to miss. Oh, and don’t forget to pay a visit to the Santa Claus Post Office! In this little village, you’ll be surprised with such a nice and unique Christmas market. Tradesmen and craftsmen in historic clothing take you on a romantic and mystical trip through time. Every afternoon, the Three Wise Men’s train of camels makes its way through the town accompanied by musicians and fire eaters. On arrival at the beautifully decorated stable, actors in brightly coloured costumes perform the story of Mary and Joseph. On top of that, there is also an ice sculptor creating wonderful ice sculptures, and fire images conjure up columns of fire and circles of sparks. 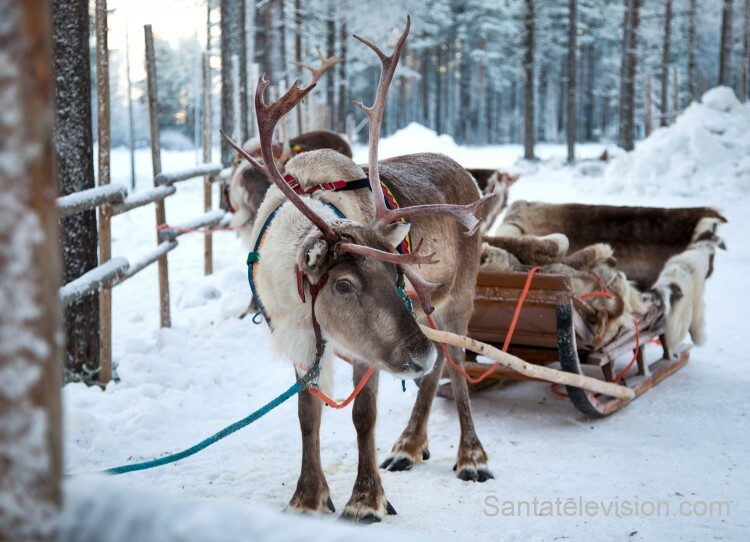 Last but not least, what better location for a Christmas market than Rovaniemi, the capital of Lapland and the official hometown of Father Christmas. In the 400 square metre exhibition, guests can observe Finnish Christmas traditions, while children will love the elves’ toy factory and the Santa Claus photography service. Insider secret tips: You can post some presents from the Santa Claus Main Post Office – For sure, it will make an impression as it will seem like it was sent by Father Christmas himself! So, are you still in need of more ideas for unique Christmas experiences?